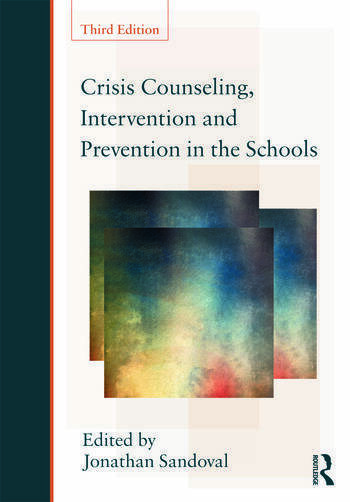 Since the first edition was published in 1988, the role of crisis intervention and prevention has become central to mental health professionals working in the schools. Disasters such as hurricane Katrina, terrorist attacks both in this country and around the world, and various school shootings have greatly increased school crisis research and policy development. This book is designed for an introductory graduate course taken by students in school psychology, school counseling, and school social work. Section I provides a crisis response overview, section II deals with crises for children and adolescents and section III covers crises that manifest in adolescence. Discussions of the 16 most prevalent types of crises are covered in sections II and III and include their characteristics, causes, interventions, and preventive programs. All chapters will be updated, six heavily revised or totally rewritten by new authors, and two new chapters (chapters 8 & 19) have been added. Jonathan Sandoval is Professor of Education at the University of the Pacific and Professor Emeritus at the University of California, Davis, USA.